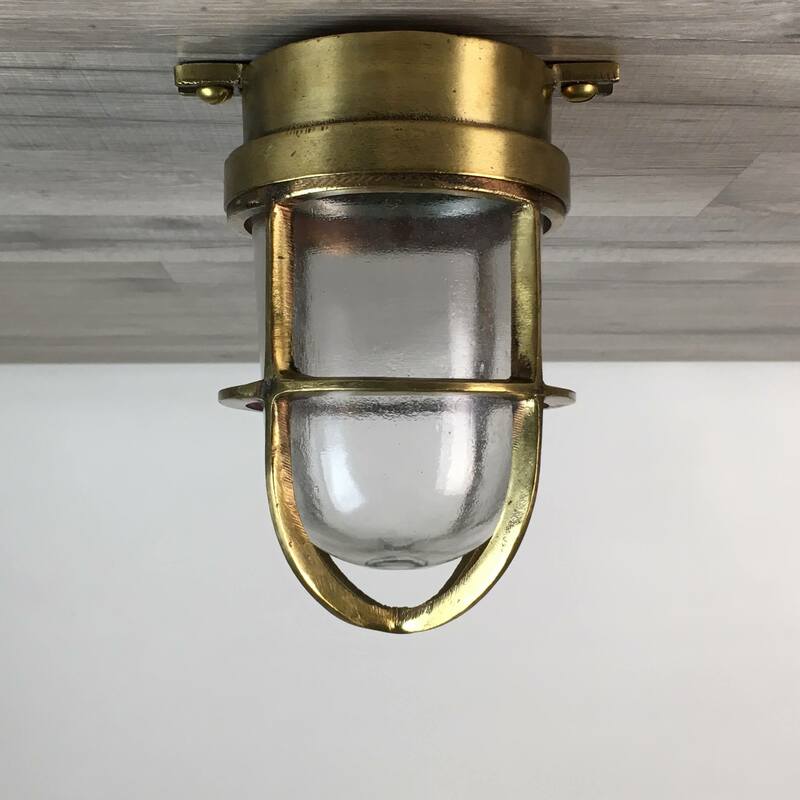 This vintage cast brass ship light with frosted globe measures 8 inches long x 5 inches wide. When mounted to the wall it will extend out by about 5 inches. The wall mount plate measures about 4 3/4 inches wide and has two mount holes. The light weighs just over 4 pounds. To access the bulb holder, merely spin off the cage and lift out the globe. The cage and rubber gasket inside hold the undamaged frosted glass globe in place. We have re-wired this light and installed a new UL Listed bulb fixture that can hold a normal 60 watt or less house bulb. All of our new wiring and bulb holders are rated for any voltage under 250 volts. Because the mount area on the back of this light is so narrow, we recommend adding one of our 6 inch diameter brass plates. It will cover the junction box and makes a cleaner looking installation. This plate is an additional $20. Order it with the light and we will attach it for you. 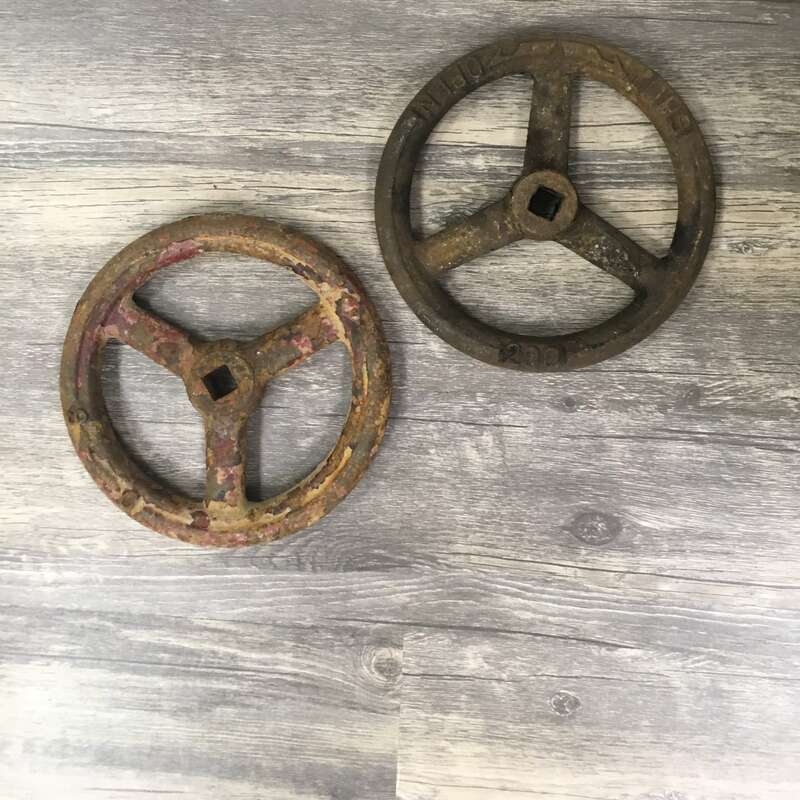 You will be shipped the vintage cast brass ship light with frosted globe shown in the photos.